This is my 250th knife since I began making knives in 2008. 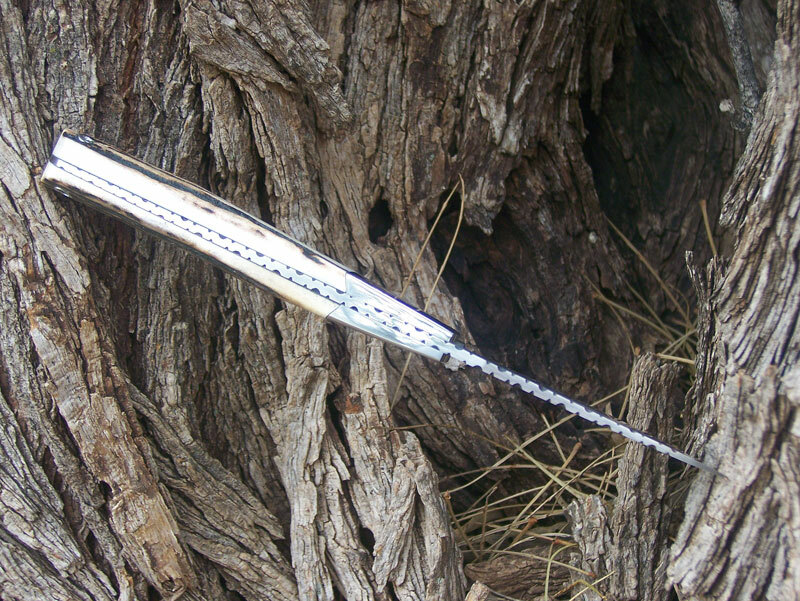 The blade is CM154 stainless at RC 60, satin finished to 600 grit. 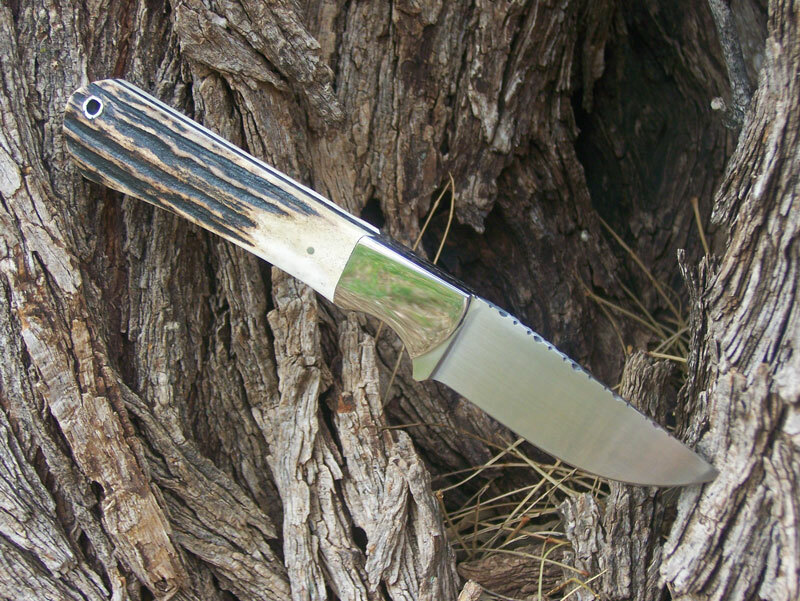 The 416 stainless bolsters are ground thin and flat, mirror polished and dovetailed. 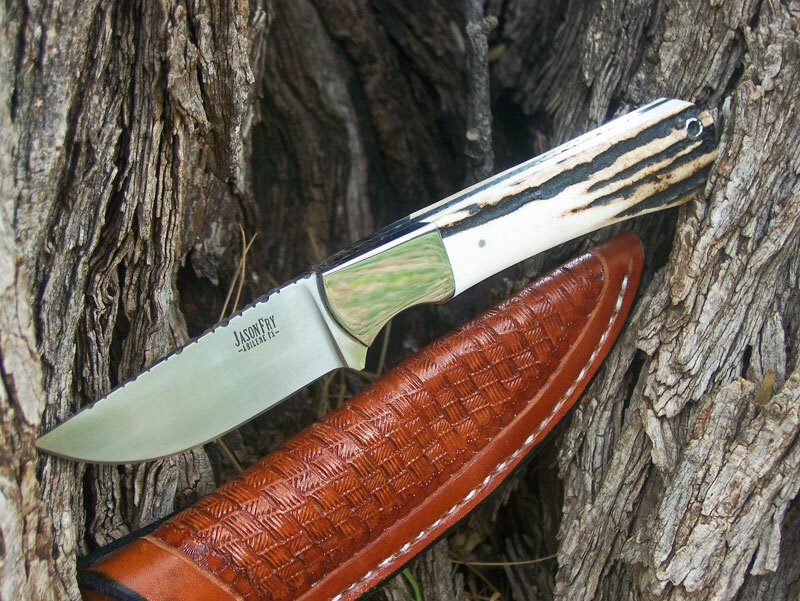 The tang is tapered thin, and the Sambar stag handles are polished with good color. I added broken wave filework the full length of the spine. OAL is 6 7/8 with a 2 5/8 blade. 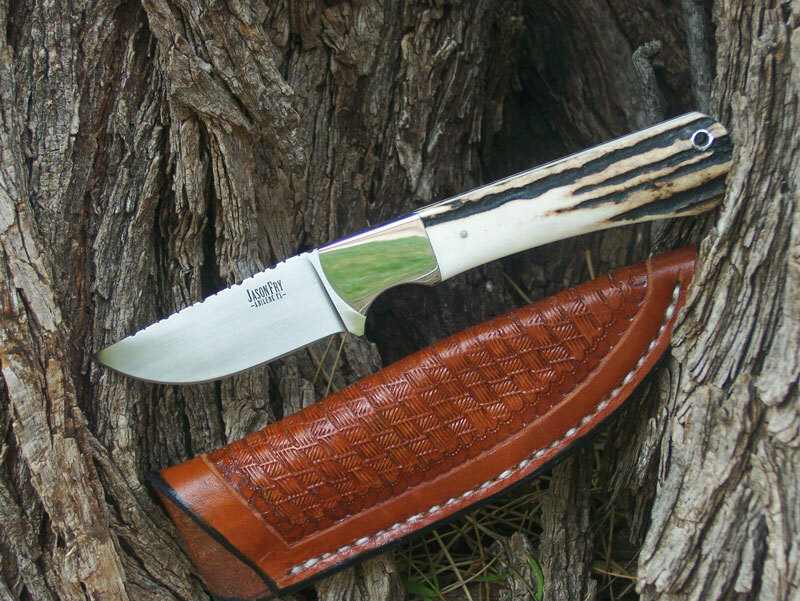 Tooled sheath is my work as well.